Every day, there are special achievements and newsworthy headlines happening at the School of Dentistry. In effort to give proper acknowledgement and share these successes, please tune in for the monthly Dean’s High 5 as we acknowledge those responsible for the top 5 stories happening at Detroit Mercy Dental. Welcome to the Dental Hygiene Class of 2020! During the week of May 29, we oriented a new cohort of students, the Dental Hygiene Class of 2020. Over the next two years, we will watch these students learn, grow and achieve. 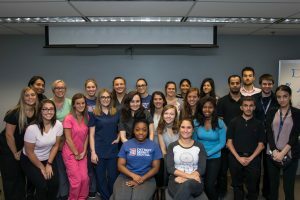 We warmly welcome these students to the Detroit Mercy Dental family and the oral health profession! Congratulations to Dr. Eric Krukonis who recently received a 2-year grant from the National Institute of Health (NIH) for approximately $400,000. The funds will support studying the bacterium Yersinia pestis can thwart the antimicrobial mechanisms in human blood that kill most bacteria that reach the bloodstream. Such “serum-resistance” activity is a critical step in the disease process of many human pathogens, including those involved in periodontal disease, and by understanding this process better we hope to develop ways to interfere with this pathogenic mechanism in numerous bacterial pathogens. Also included on this grant are Dr. Joshua Thomson (co-investigator) and Dr. Sarah Plecha (postdoctoral fellow). 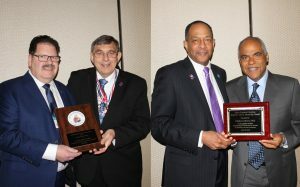 Dr. Gary Jeffers, director of Admissions, associate professor, received the Distinguished Service Award from Michigan Section Membership Secretary and adjunct professor at Detroit Mercy Dental, Dr. Bill Berkowski. The Distinguished Service Award is given at the president’s discretion to fellows of the Academy whose actions and deeds reflect the highest examples of honorary dental service be it directly for the Academy, the community, education, mentorship and/or philanthropy. Dr. Curles Colbert, clinical assistant professor, was presented with the Joseph B. Harris Mentorship Award by Dr. Joe Harris. 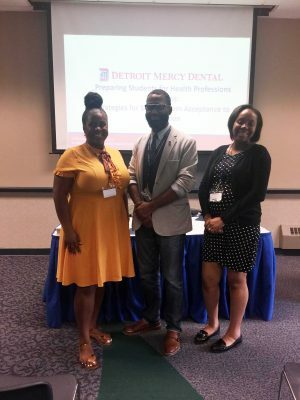 On Friday, May 18, Lola Banks, M.A., director of Diversity and Inclusion, Melvin Lunkins, coordinator of Diversity and Inclusion, and Angel Fox, M.S., administrative assistant for Student Services, presented at the annual Michigan Academic Advisors Association Conference at Henry Ford College in Dearborn. 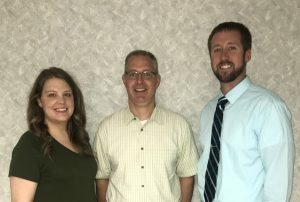 Their presentation was titled “Preparing Students for Health Professions Programs: Strategies for Success from Acceptance to Graduation.” Thank you for sharing your knowledge and expertise with colleagues! 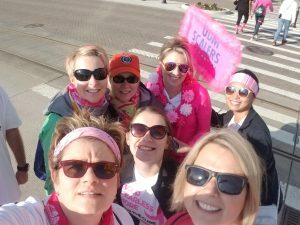 On Saturday, May 5, a group of 20 faculty, staff, students, and friends from Detroit Mercy Dental participated in the Susan G. Komen Race for the Cure Detroit to support breast cancer research. Dressed in pink, the crew walked a 5k route through the city. This is the ninth consecutive year members of the Detroit Mercy Dental family have come together to participate in the event. We are proud of this fantastic tradition for a wonderful cause!